No cargo is too heavy for the Worker with Wheelbarrow. 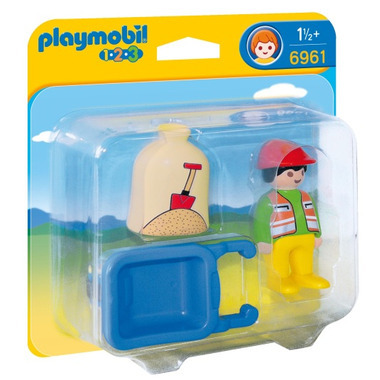 With a bright and colorful design and large, rounded pieces, this PLAYMOBIL 1.2.3 set is ideal for toddlers. 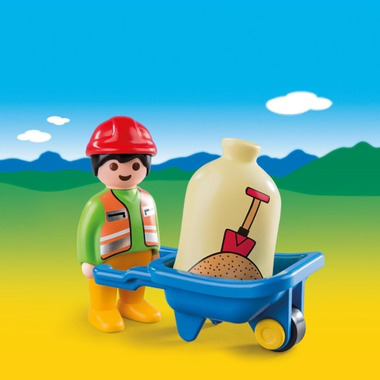 Set includes one figure, wheelbarrow, and sack. Recommended for ages 18 months and up.